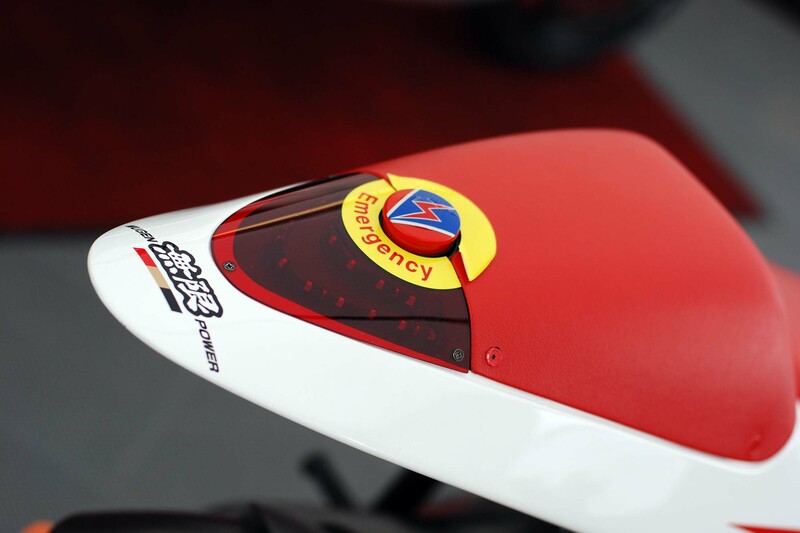 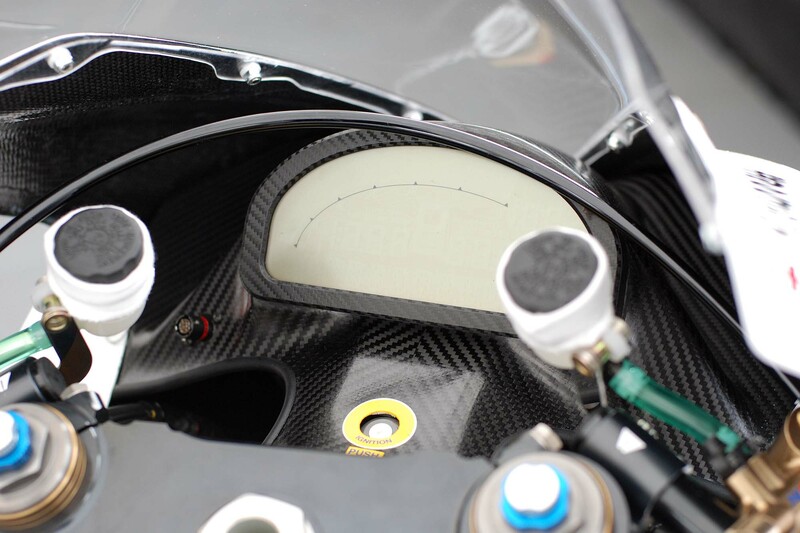 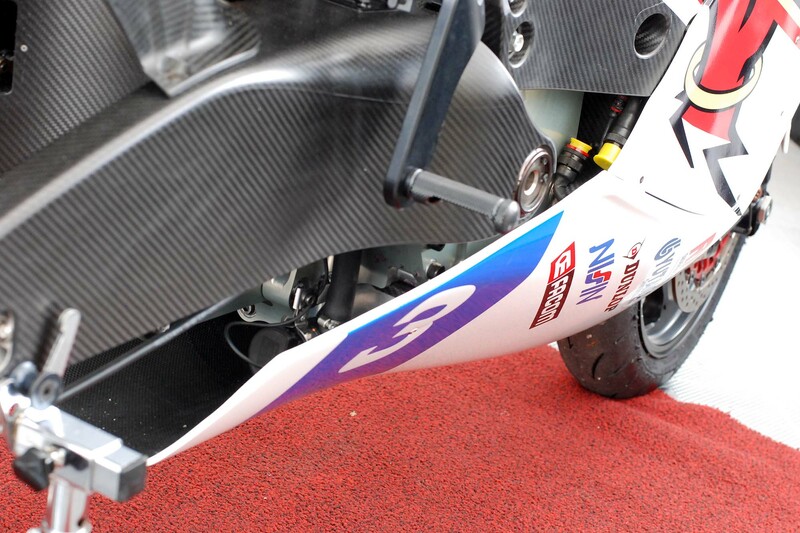 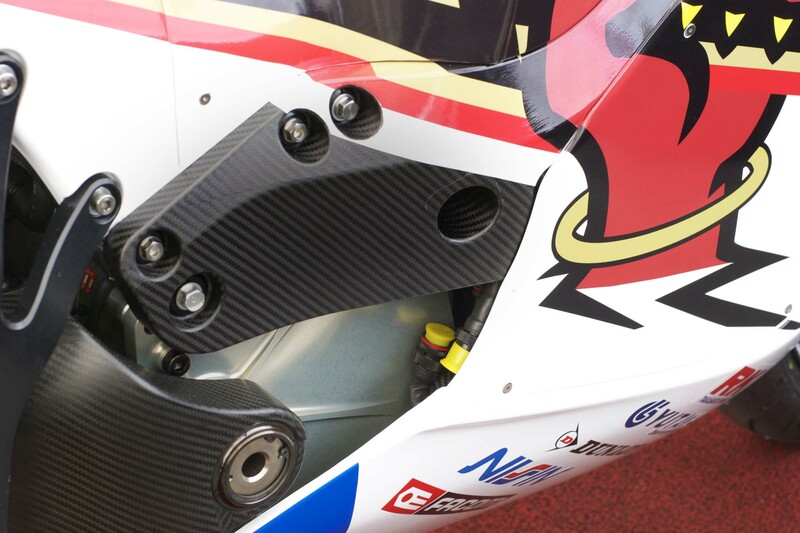 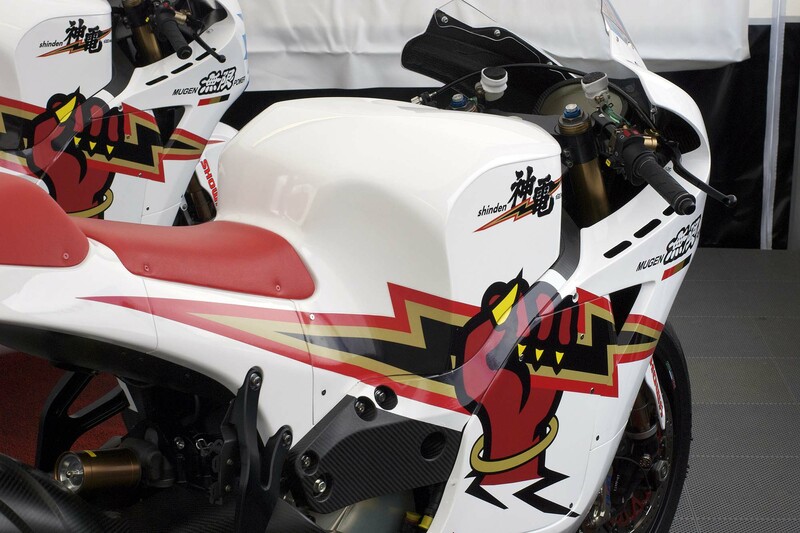 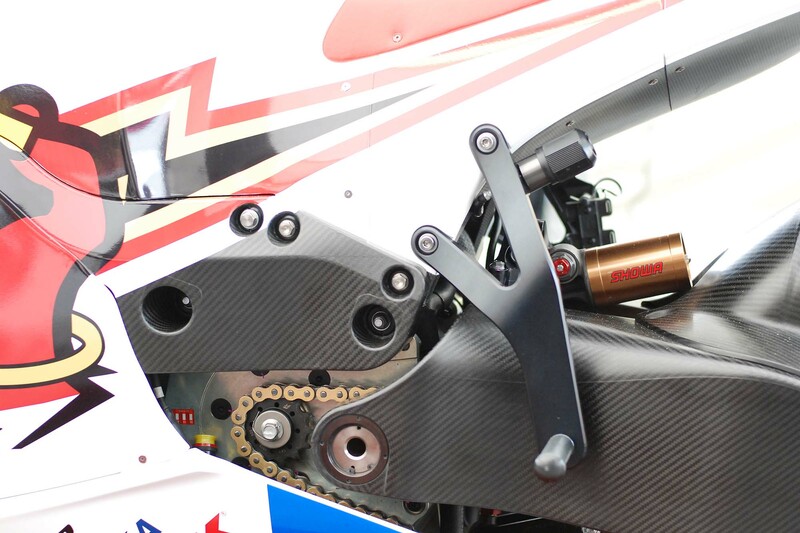 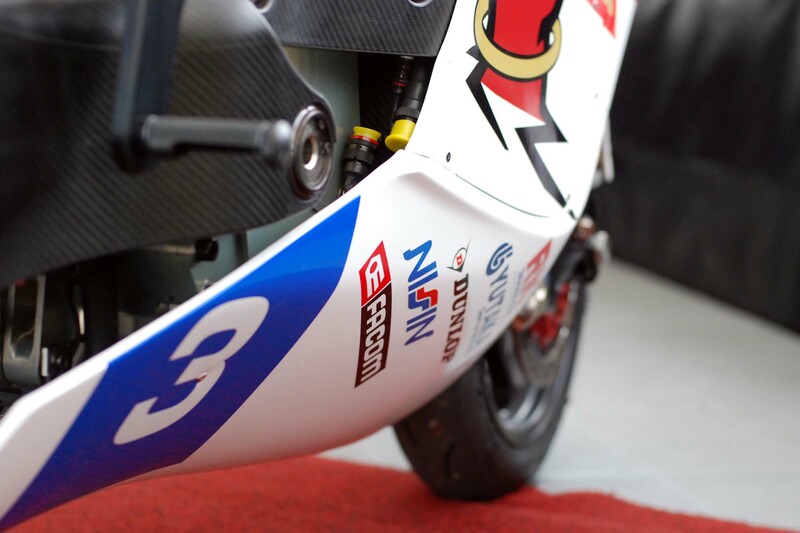 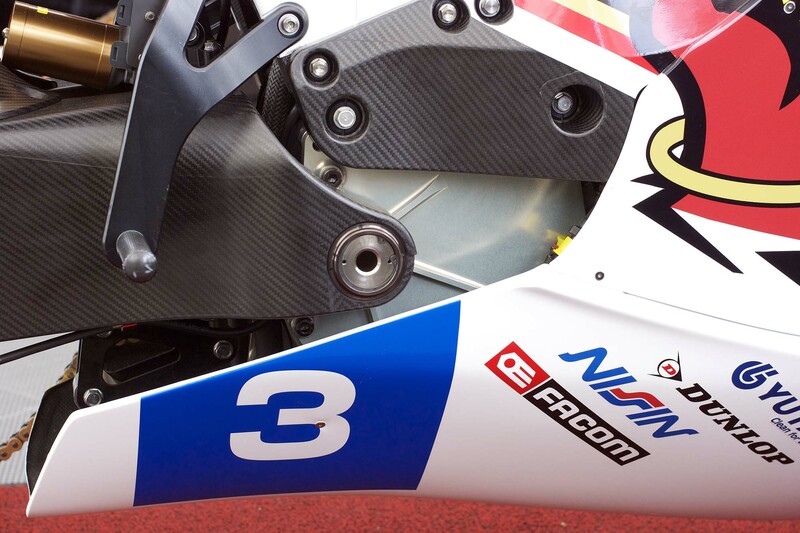 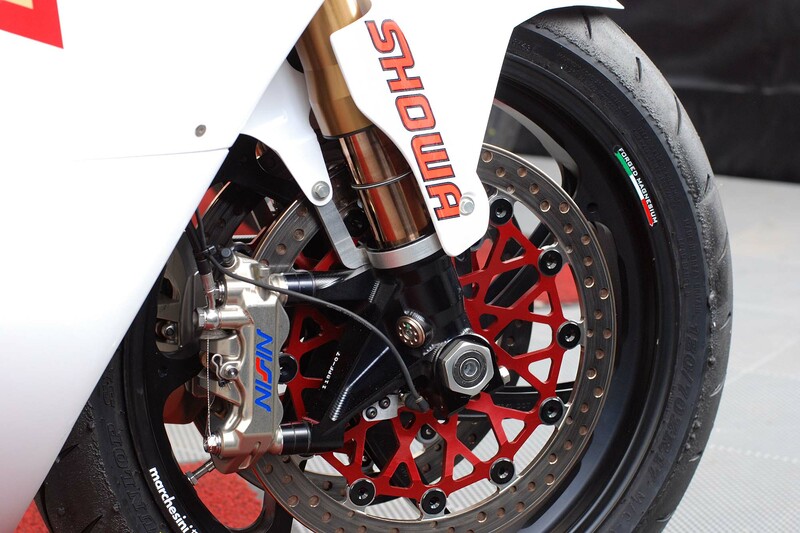 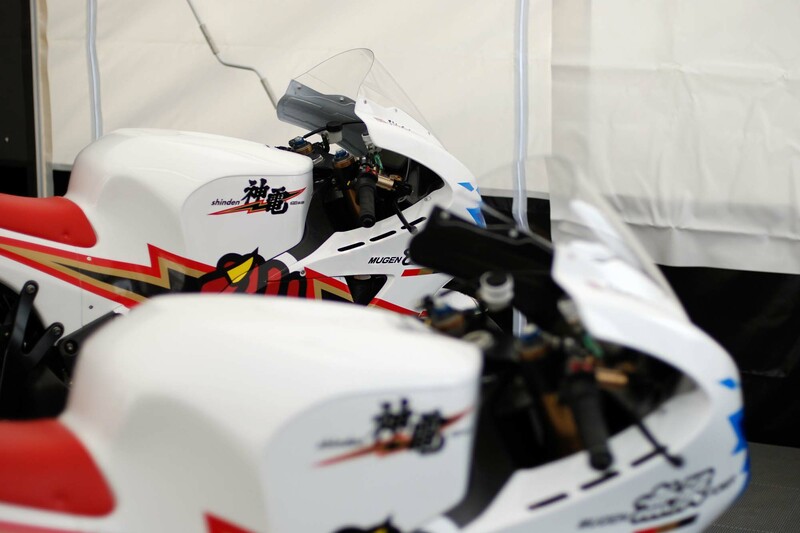 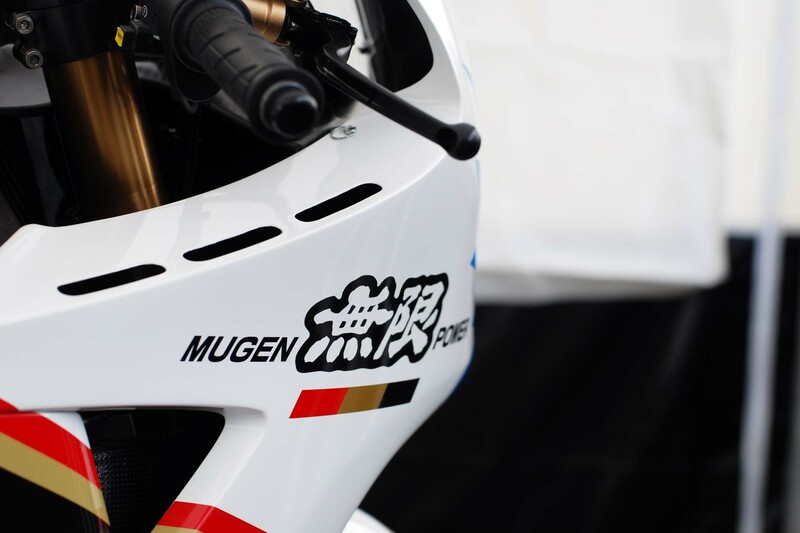 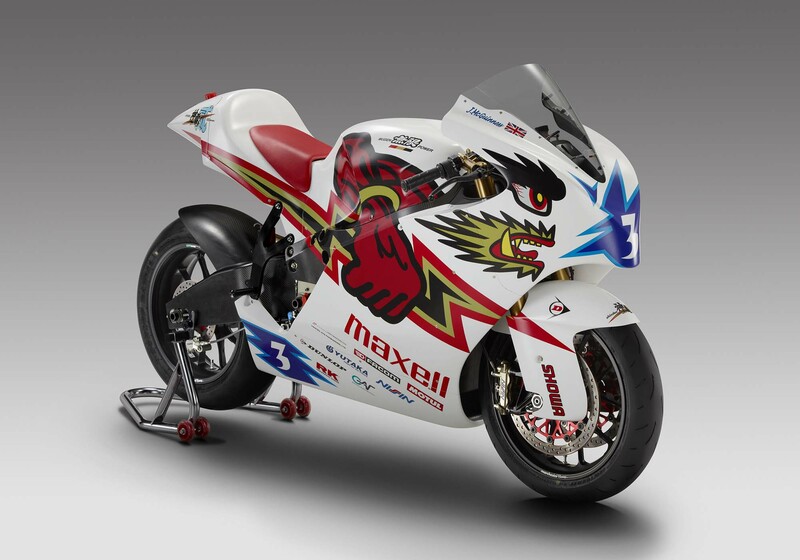 Looking at the finalized design, it is clear that Mugen has made some minor modifications to the shape of the front fairing (check our up-close photos of the 2012 machine here), which shows a more pronounced snout than the original Mugen Shinden. 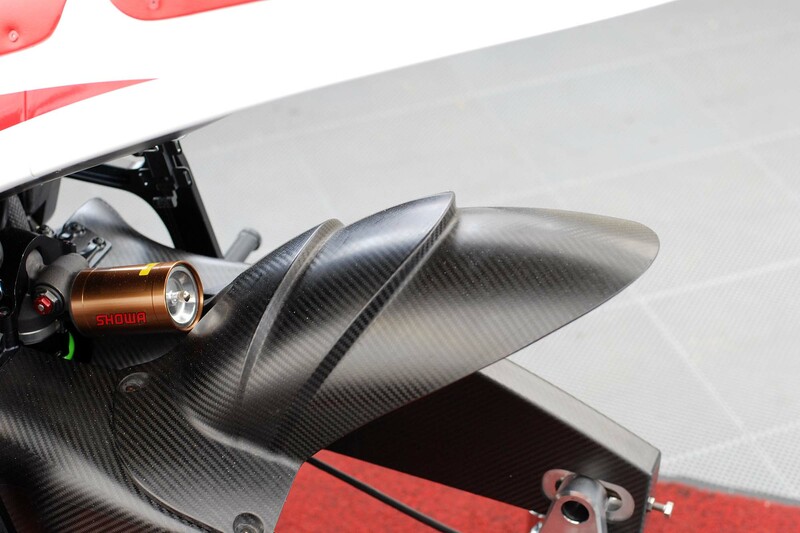 The tail section has seen more noticeable improvements over the first design, and now has rearward facing vents, presumably to facilitate some kind of cooling. 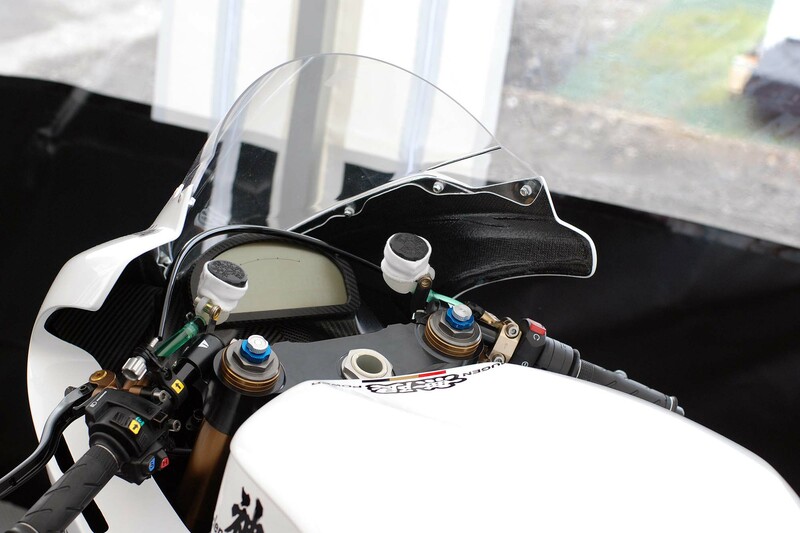 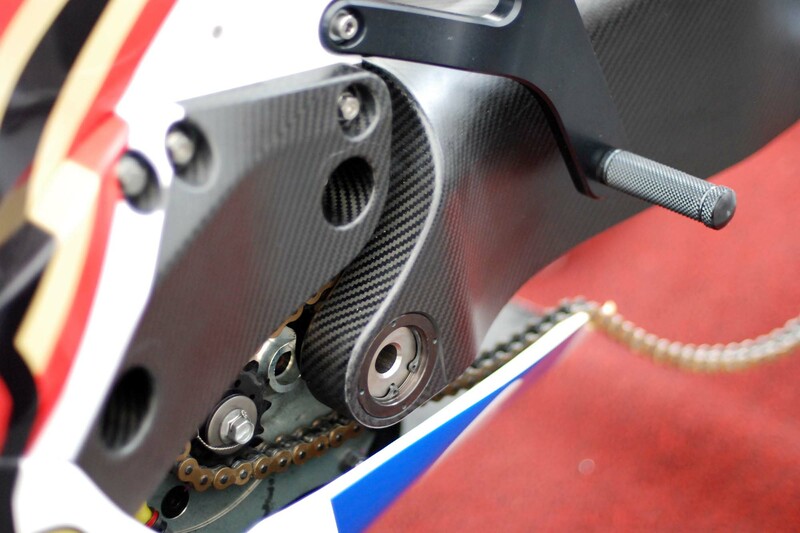 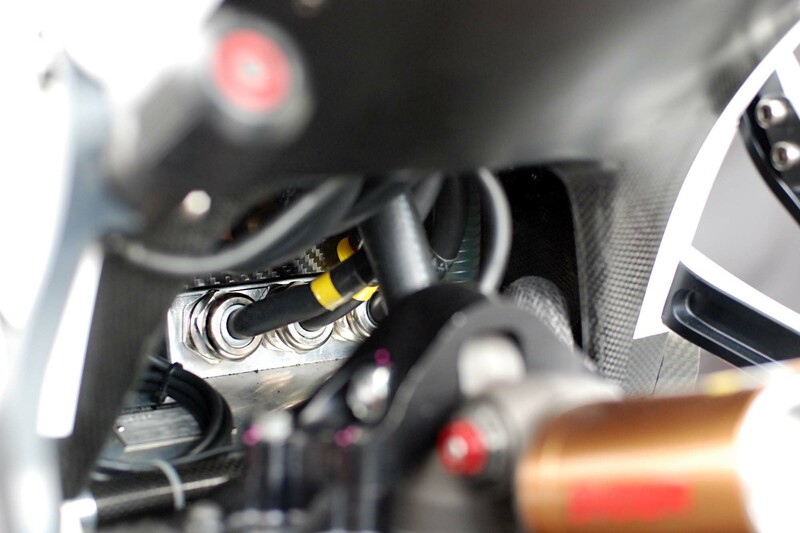 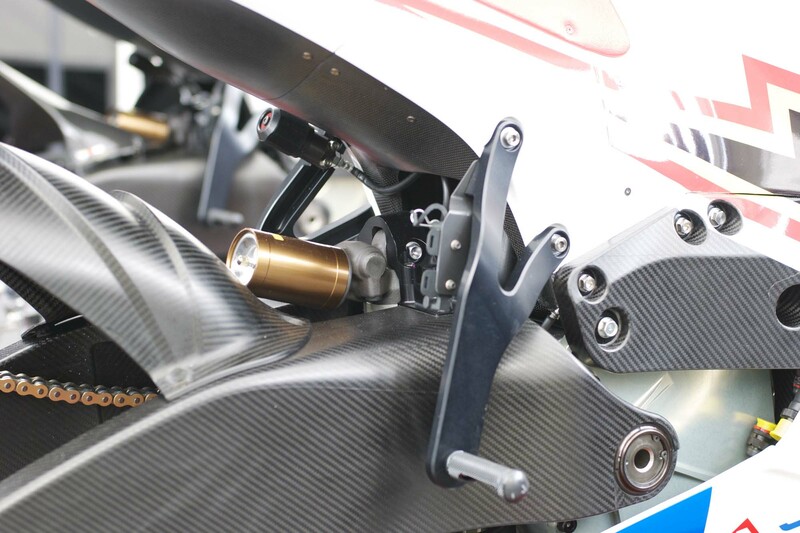 The same gorgeous carbon fiber twin-spar frame stands out on the Shinden Ni, and there are subtle changes to how the bodywork comes together, for instance with the pieces that connect to the rearsets, the mudguard, and front fender. 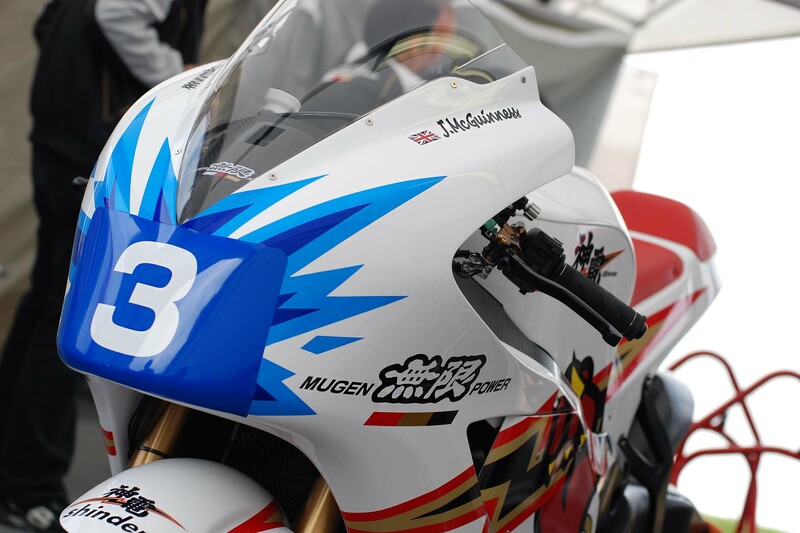 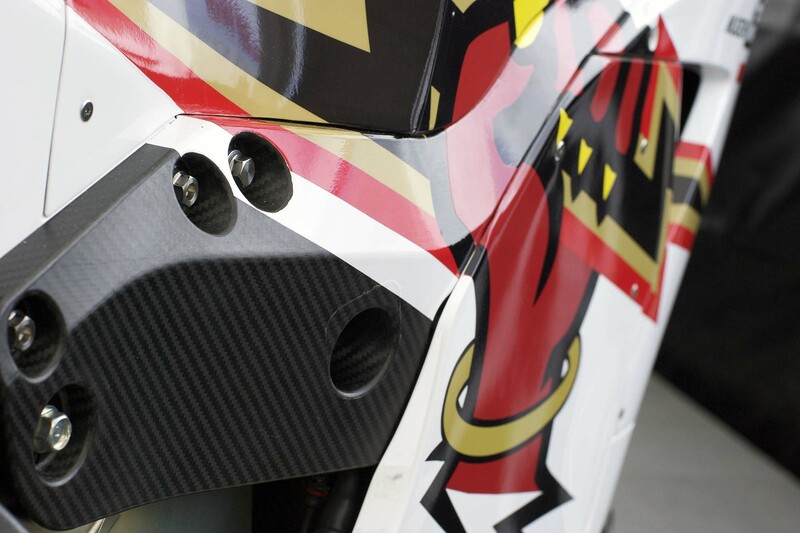 While the outward changes seem to be minor and most for improved aerodynamics, we expect what is underneath the fairings to be where Mugen expects to make the most gains with its lap-times. 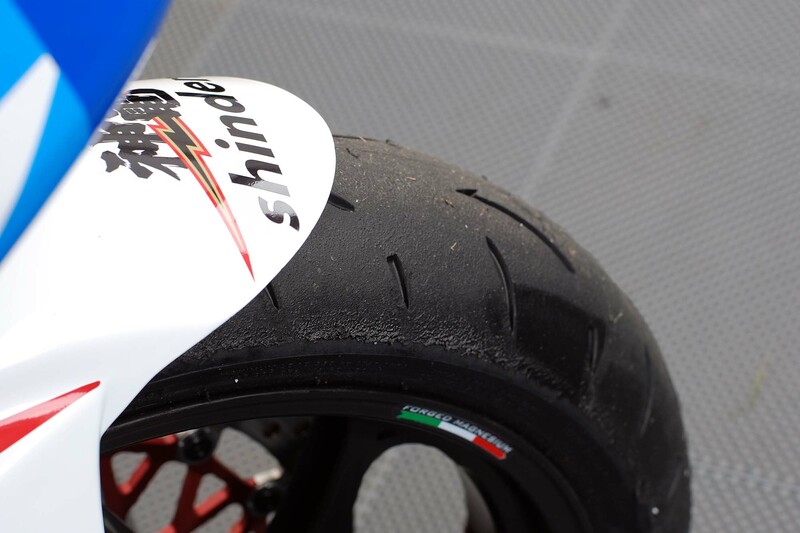 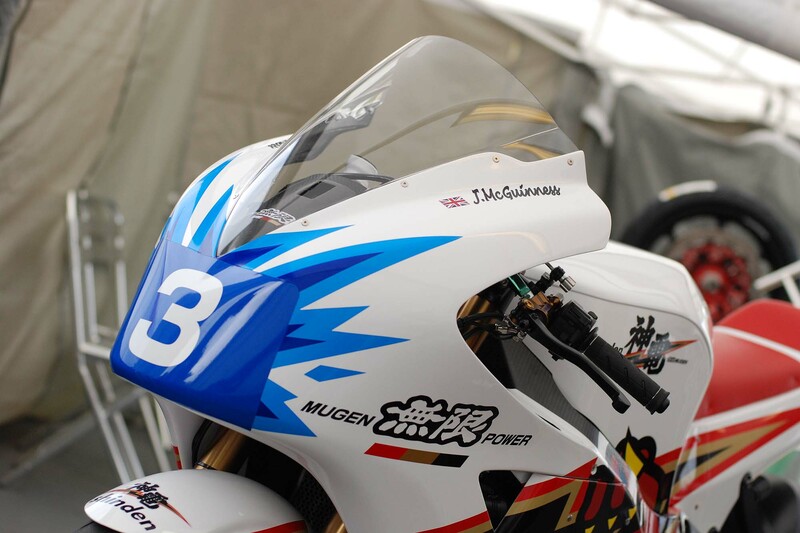 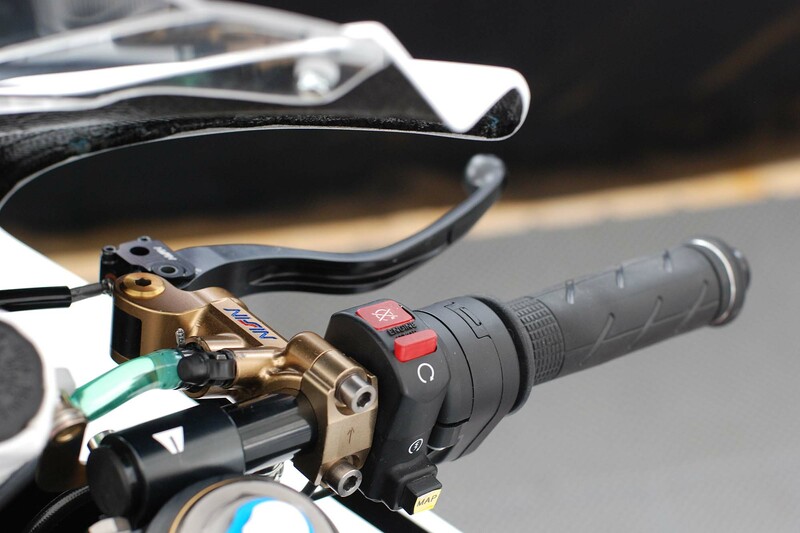 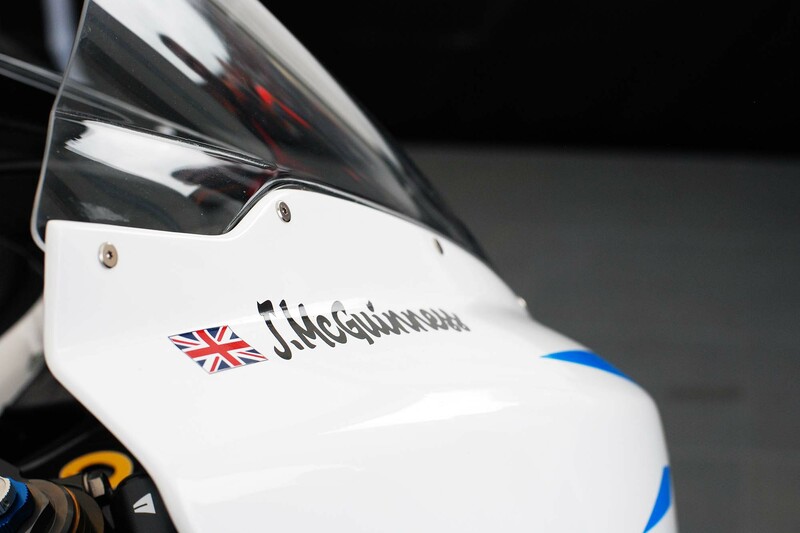 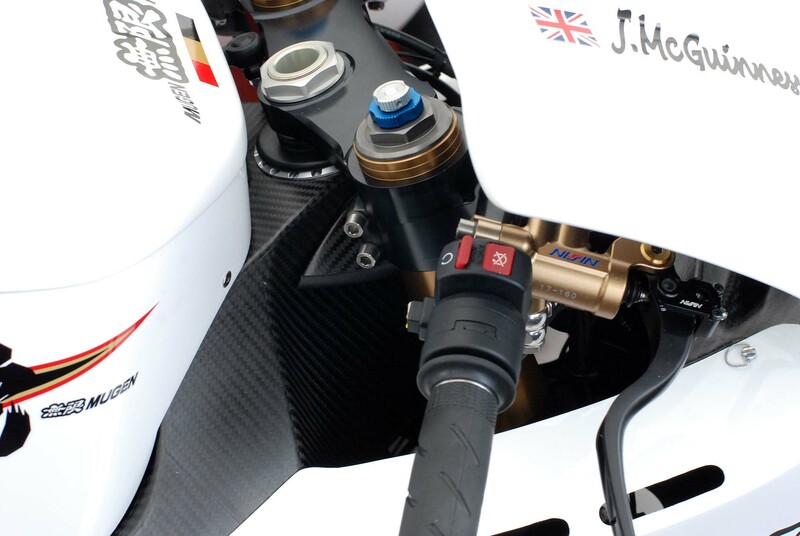 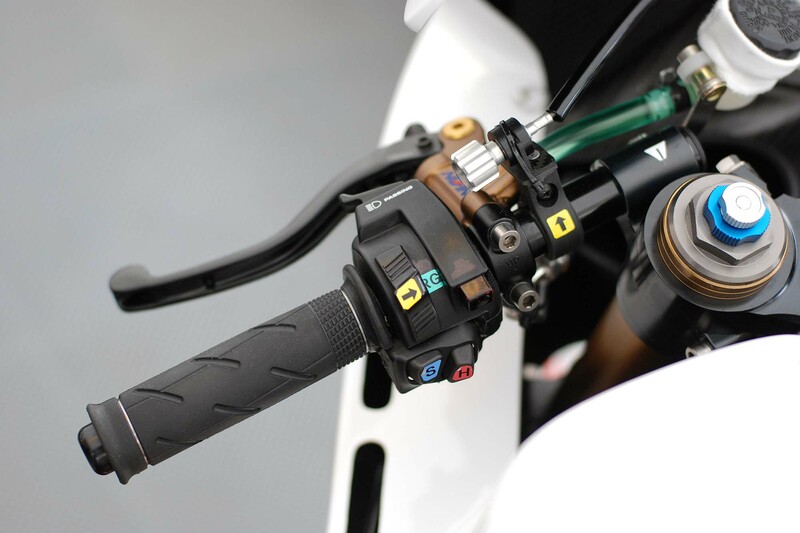 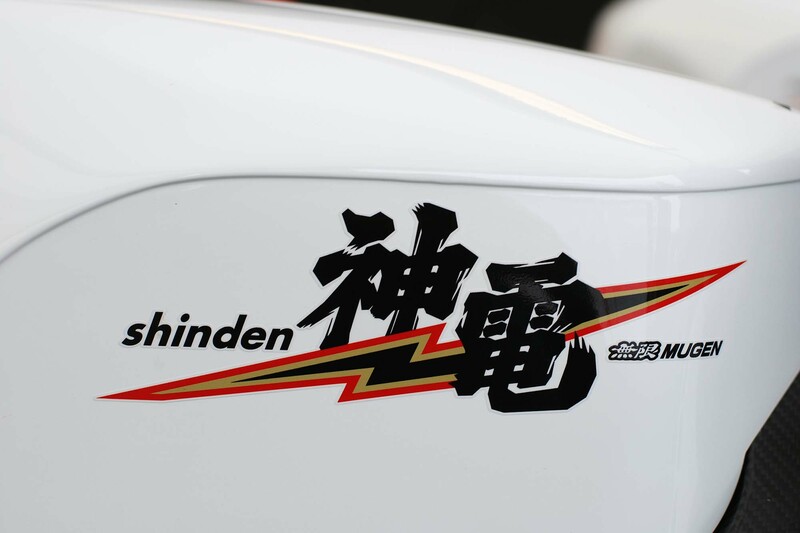 Forty-four pounds lighter than its predecessor (apparently all in battery weight), the Mugen Shinden Ni should be a more manageable machine for McGuinness, and the team should have a better plan of attack in regard to its energy usage. 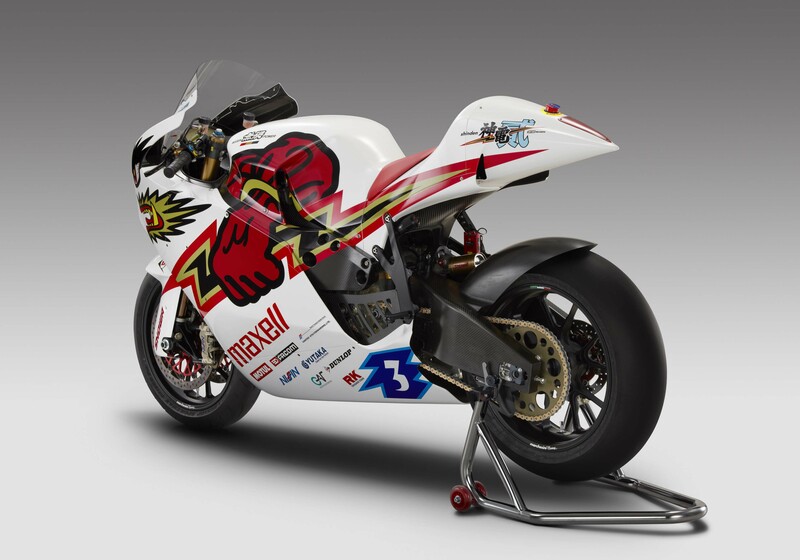 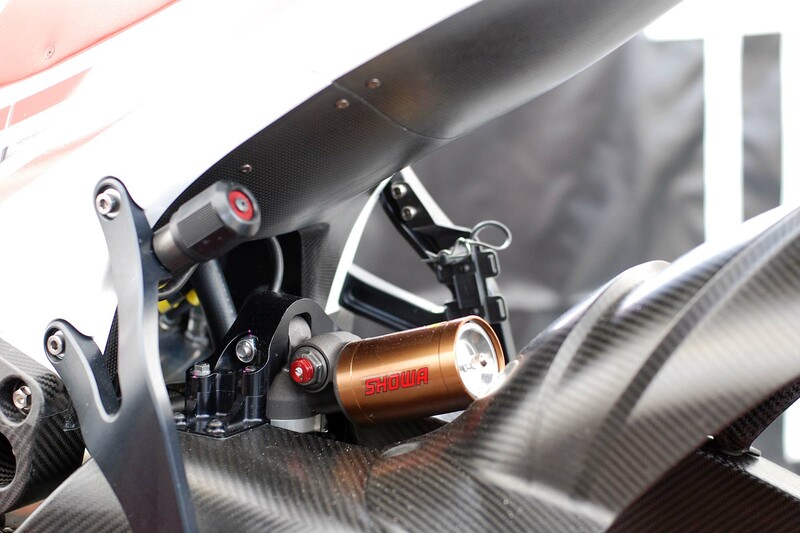 It will be interesting to see if Mugen has anymore on-board energy than last year with such a massive weightloss occurring on the electric superbike. 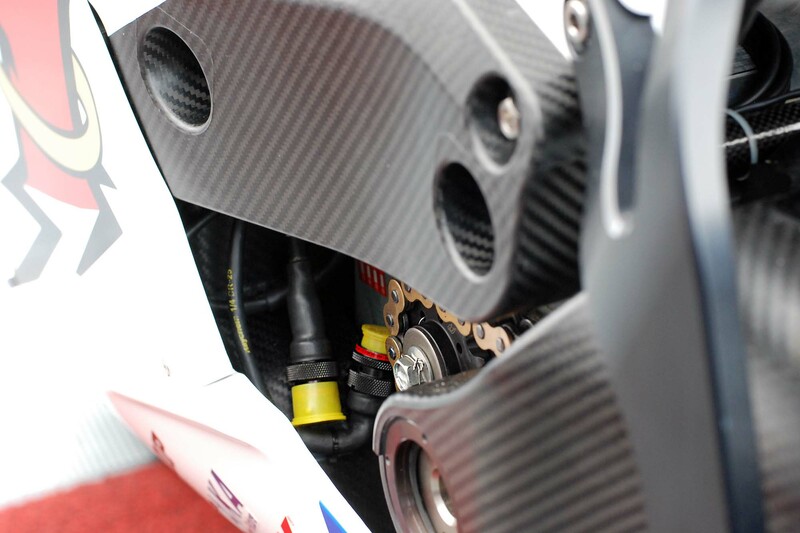 As we are fond of saying, only time will tell. 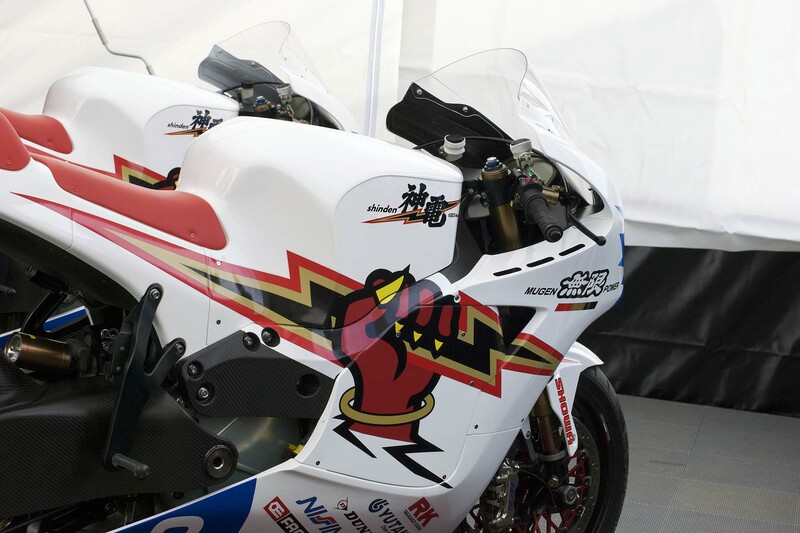 The Isle of Man TT kicks off in just 15 days.